"Cool", "functional" and "sophisticated" was the Owner's request for this warm modern bath. The minimalist shower enclosure transitions seamlessly into a custom built japanese soaking tub with a warm gray textural tile backdrop that creates a subtle and soothing flowing feeling in a compact space. 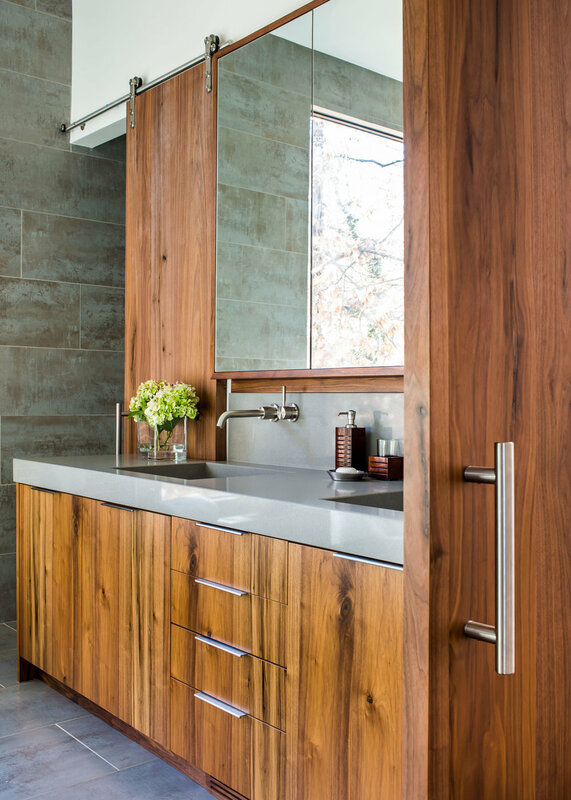 Accents of natural walnut veneer on the vanity and an accentuated sliding water closet door, add warmth and balance to the shower and tub forms. 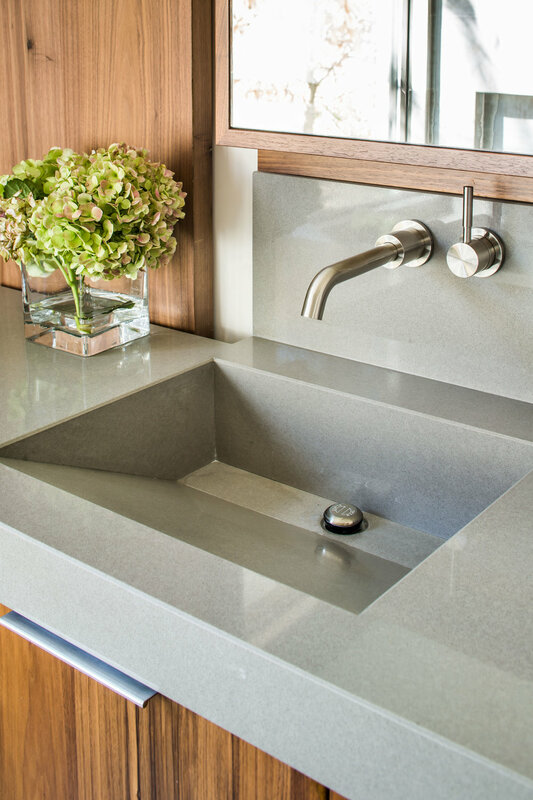 Function is packed into every inch of this compact space with a custom mirror unit housing plentiful storage and hidden laundry bin. See also Modern Elegance in Buckhead to view the full scope of the project.